Water tanks and holding tank are flexi tanks. Cabin heating - Chilli Penguin. A very spacious homely boat. She has sailed mainly the Mediterranean, Caribbean and UK. Would make an excellent live aboard. 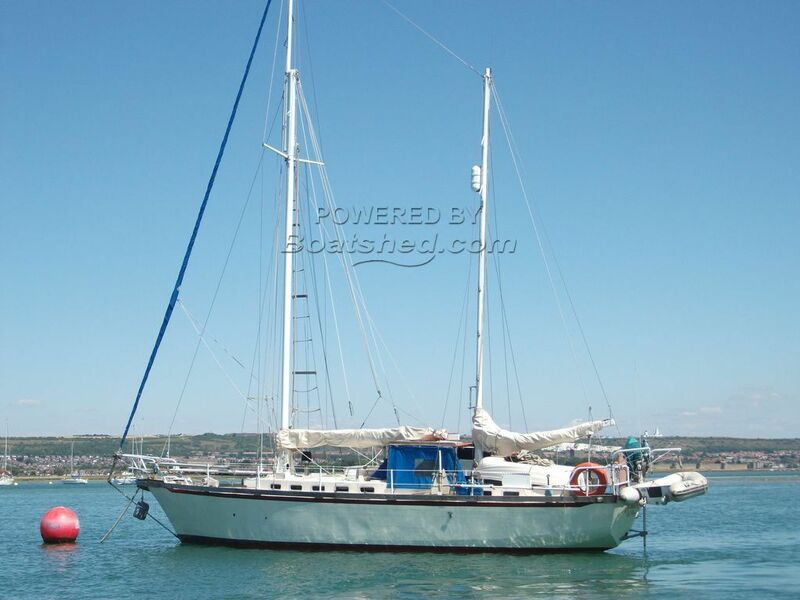 She boasts a good suite of sails and an excellent engine room housing a 2010 BETA. Feathering prop new 2015. Gaff rigged Aluminium spars (2017) with standing rigging (2012). This Venture 45 has been personally photographed and viewed by Samatha Cassell of Boatshed Portsmouth. Click here for contact details.